Thornbridge is one of the most successful independent breweries in Britain and is credited, along with BrewDog, for being where it all started for the UK craft beer scene. They first produced beer in 2005 in a 10 barrel brewery housed in a humble outbuilding in the grounds of Thornbridge Hall. From day one the focus was excellence, quality of process and only using the very best ingredients – a formula that has been paramount to their success. It’s here that Martin Dickie began his brewing career, before founding BrewDog with James Watt. Along with his colleague Stefano Cossi, he developed a recipe for an IPA called Jaipur. 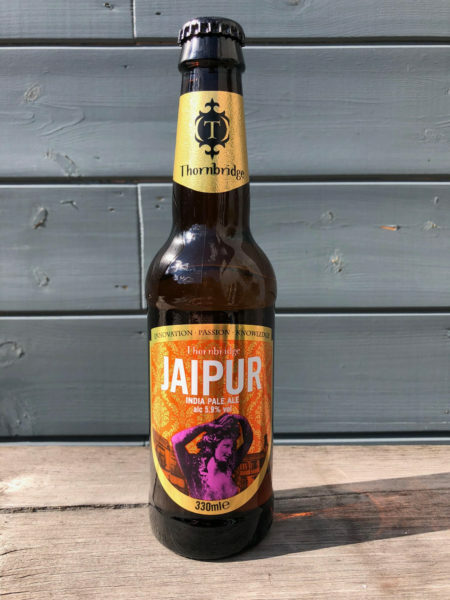 Jaipur went on to become Thornbridge’s multi-award winning signature beer – and also the prototype for the beer that BrewDog would build it’s brand on – Punk IPA. In 2009 a new state of the art 30 barrel brewery opened in Bakewell, on the riverside, with an aim to brew high quality cask, keg and bottled beers. This location is historically significant as it was built on the site of Richard Arkwright’s factory, where in the late 18th century he harnessed the power of the river to drive a spinning frame. This has since been recognised as the start of the Industrial Revolution. Well the spirit of revolution goes on… this time in the craft beer world. Following their guiding motto ‘Innovation, Passion and Knowledge’ Thornbridge have gone on to win more than 350 awards and are distributed worldwide in over 30 countries. The original brewery at Thornbridge Hall still operates in developing new, seasonal and speciality beers. Known for their open minded attitude that marries traditional recipes with a modern twist, Thornbridge continue to push boundaries. 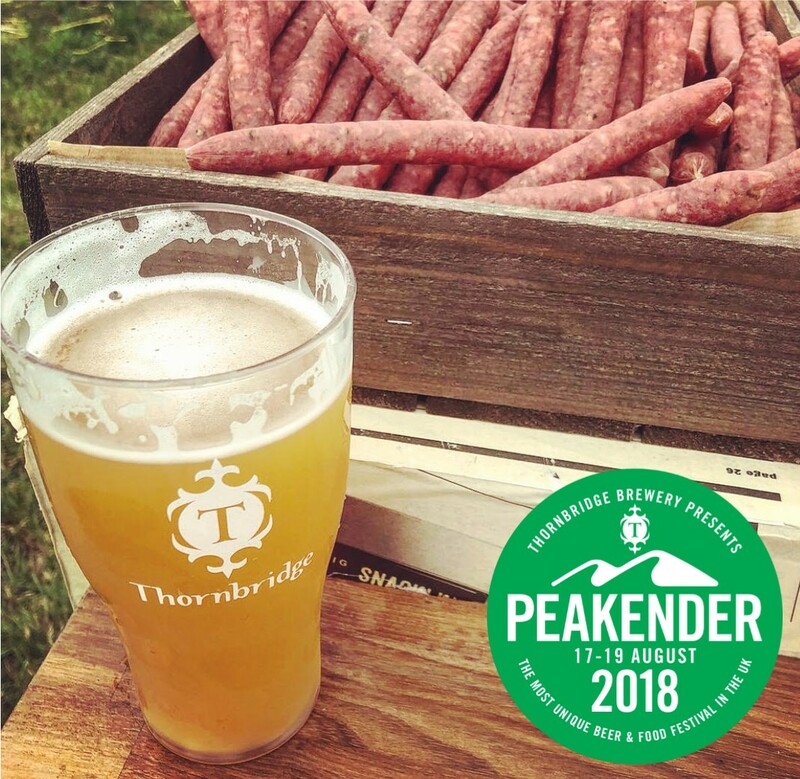 Such is their reputation, Thornbridge now invite the stars of the UK brewing world to join them in Bakewell each year for ‘Peakender’. With the claim ‘most unique beer festival’, it was no surprise to see ‘Beer Yoga’, ‘The Red Barrows’ (a wheelbarrow formation display) and the ‘Mikkheller Running Club’ on the entertainment schedule, alongside a stunning selection of craft beer, informative talks by industry experts and live music. Serious beer requires serious snacks, so we didn’t hesitate to accept the invite, pack the tent and head up north.